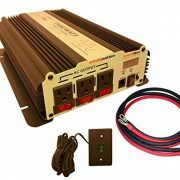 Overloads are never a problem with its dual 33-amp circuit breaker. 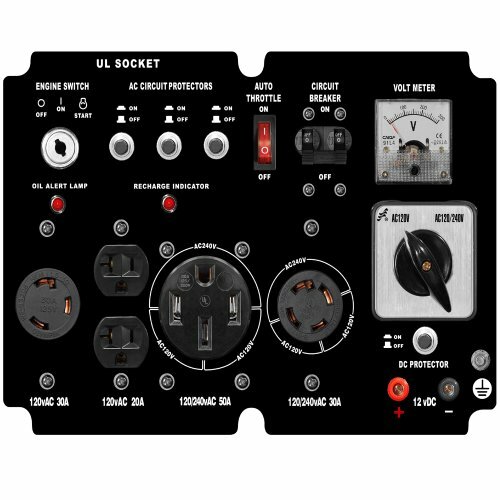 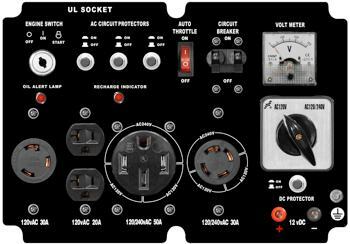 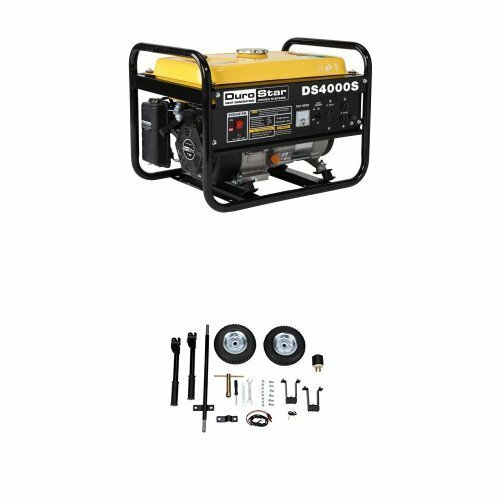 A volt meter allows you to monitor your generator’s output range at all times, and the battery charge indicator light lets you know when the generator’s starter battery is charging. 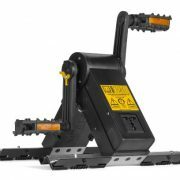 The XP10000E features a heavy duty steel frame roll cage with four-point fully isolated motor mounts for smooth and quiet operation. 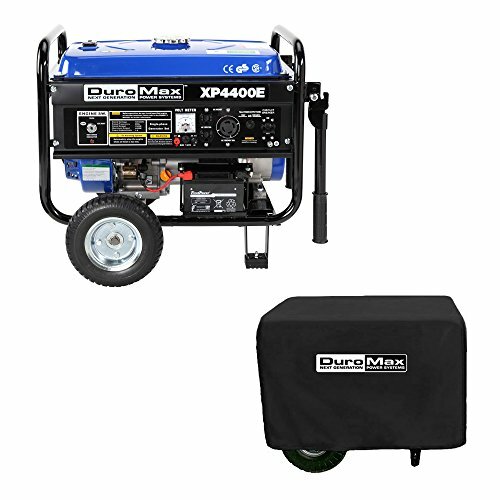 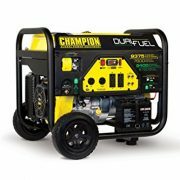 This generator is also easily portable thanks to the wheel kit with a flip-up, stow-away handle. 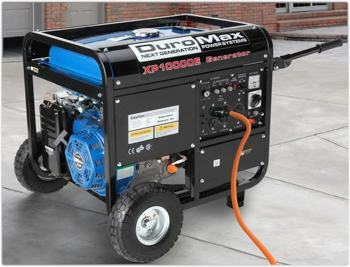 The 10-1/2-inch all-terrain, never flat tires offer the flexibility and looks of a pneumatic tire without the rigidity of a solid tire–improving the mobility across both soft ground and hard surfaces. 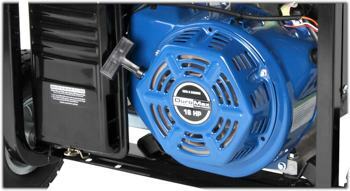 You’ll get up to 10 hours of run time (at 50 percent) from a 8.3-gallon tank of fuel. 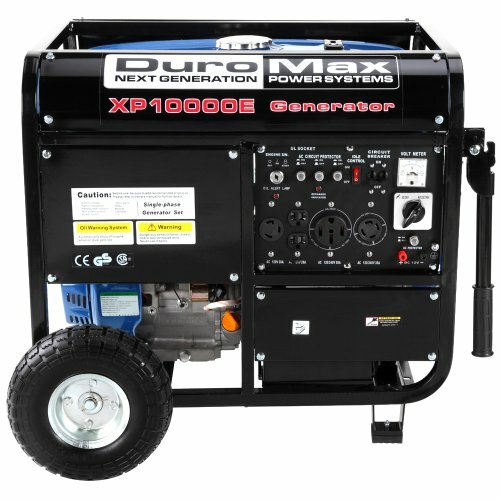 Other features include a super-quiet muffler, an advanced automatic voltage regulator (AVR) system and a low oil protection system which automatically shuts the generator off to protect it from any damage should it run out of oil. 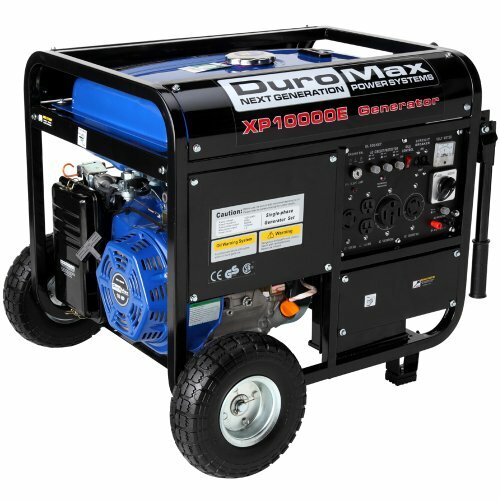 It’s backed by a one-year limited warranty.